"Brassica" has become my new favorite word. It is the Latin word for "cabbage" (or also, "cauliflower"), as well as the scientific name for the genus of plants that includes green, slightly bitter, slightly salty, members of the mustard family. The brassicas are the dominant representatives in the dark green vegetable world: cabbage, broccoli, cauliflower, kale, collards, mustard greens, kohlrab , Brussels sprouts, turnips, rutabega, rapini, and that amazing and unsung hero of the Asian grocery, gai lan or Chinese broccoli. They are durable and variable plants, defined by their green leaves and bright yellow flowers. They are, without exception, delicious: complex, fibrous-ly al dente, challenging in their bitterness, but made sweet and unctuous with heat and salt. These veggies come from all parts of the brassica plant (obviously the greens are leaves while turnips and rutabega are roots). But they are all delicious in their way. In fact, the last 15 years or so has seen many of these vegetables become variously famous, impossible to find, absurdly over priced, beloved and celebrated by a generation of eaters who grew up thinking that a steamed Brussels sprout was a device of torture. So, the renovation of the brassicas' reputation has been something of a miracle. Now they have become the most versatile and the most consistently delicious offerings from the contorni (the fancy, Italian word for vegetable side dishes) side of the menu. But it is also no secret as to why this has happened. Somewhere in the early 00's chefs and foodies learned what, apparently, generations of American cookery had been inexplicably unaware: vegetables are at their most delicious when they have been cooked in a hot and dry environment. 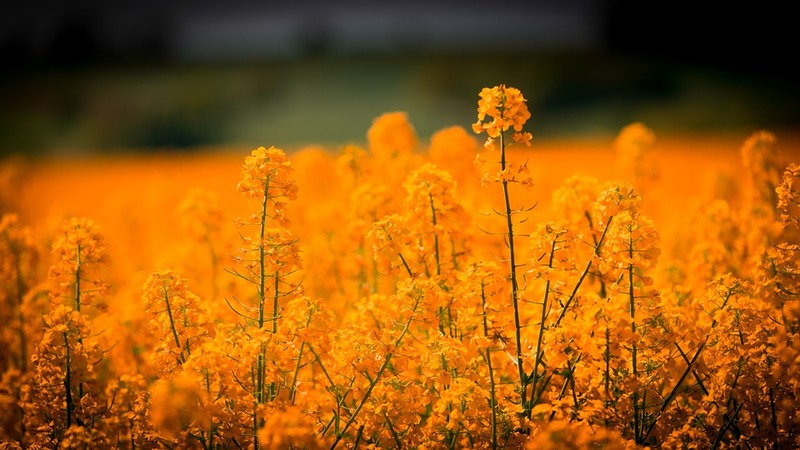 A field of rapeseed flowers. These will eventually be pressed to produce canola oil. How did they miss it for so long? Its not as if high temp ovens or live-fire grills were unheard of before the millennium. But for some reason, vegetables were often canned, frozen, or brought to the table dripping with the water in which they were poached or steamed. I think back to one of my favorite childhood books, Cloudy with a Chance of Meatballs, where a limp, dripping stalk of broccoli was meant to stand in for an attempt at fine dining. I'm not sure how this became the fate of these vegetables, but they doubtlessly reached the bottom of many garbage cans as water-logged, bloated version of themselves–unloved and unlovely. The thing that we've now learned about roasted brassicas is that the concept of "roasted" or "brown" is extremely fluid. I once left a tray of Brussels Sprouts in the oven for double the time I had intended. What emerged were papery leaves attached to dehydrated stalks that were shades or grey and brown. I thought they were ruined and went on with other plans for a vegetable preparation. And yet, once they cooled, I could not stop eating them. Something about the sugars in the green vegetable seems locked away and hidden until intense heat brings it to the surface. And the browner the better. 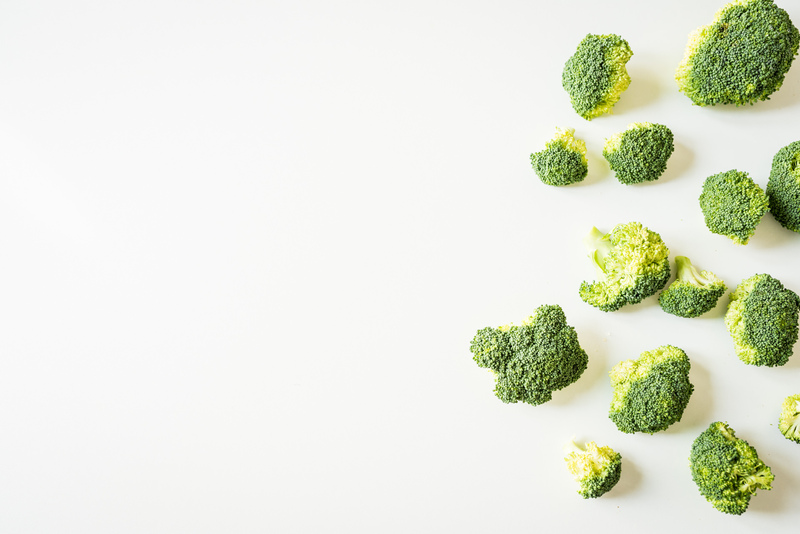 While nothing tastes good when it has been absolutely burned to black ash, brassicas are the food that, perhaps, you can push further than any other. This is an especially important lesson for home cooks who, as a rule, are anxious about burning food. Sometimes you really have to push food beyond your own comfort zone to make something really delicious. Case in point: this recipe offered by Bon Appetit. Cabbage is perhaps the least loved of the brassicas, and also the cheapest. And yet it is elevated by being browned to the absolute edge of being burned and then paired with the brightness and depth of kombu, fish sauce and basil. This is a master class in rich, caramelized brassicaciousness.